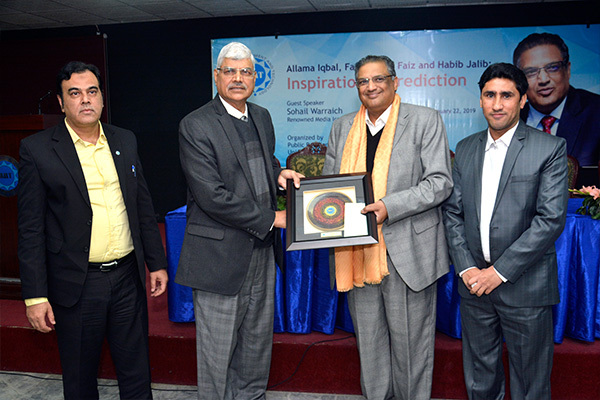 The Office of Public Relations (PRO), UMT, invited renowned journalist and media icon Sohail Warraich to deliver a talk on ‘Allama Iqbal, Faiz Ahmed Faiz and Habib Jalib: Inspiration and Prediction, on January 22, 2019 at the UMT Campus. 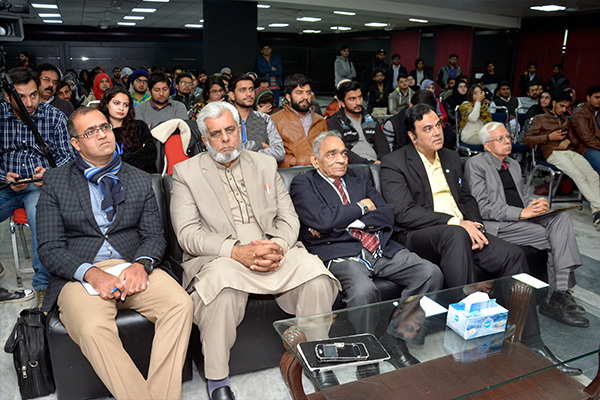 The guest of honor was welcomed by Dr Muhammad Aslam, Rector UMT, and the senior management. 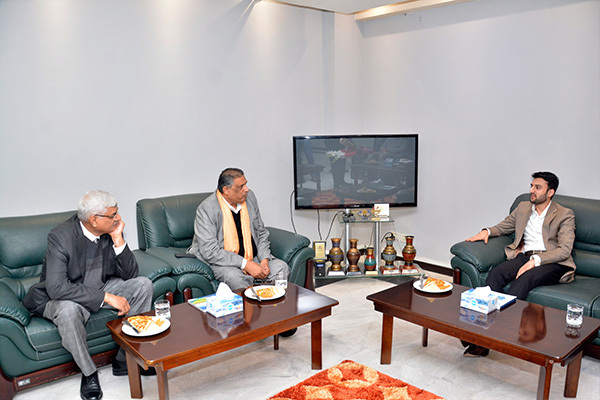 Sohail Warraich also met Ibrahim Hasan Murad, President UMT, and discussed the role of media in our society. 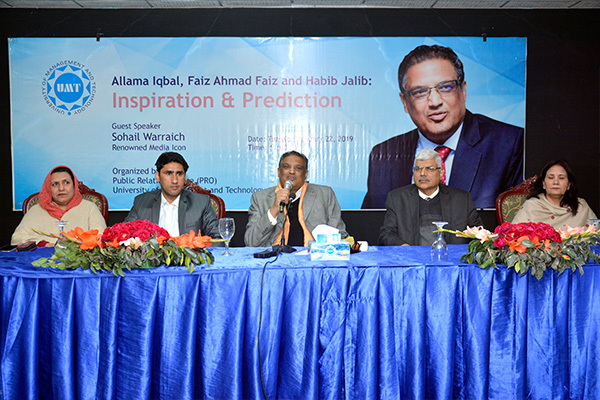 Addressing on the occasion, Sohail Warraich said that Allama Iqbal, Faiz Ahmed Faiz and Habib Jalib were the assets of the nation who awakened the people from slumber in their typical philosophical, public and poetic style. He stated the new generation needs to read them in depth, draw conclusions from their thinking and resolve the problems faced by today’s world. Dr Muhammad Aslam concluded the event with vote of thanks and souvenir distribution.